When I think of Swans, this is the pen that comes to mind. This is THE Swan for me, the epitome of the brand. The SF230 also came in mottled hard rubber and, a little later, in a variety of celluloid patterns including green jade and lapis lazuli. They are very attractive, but the black hard rubber version is the one that works best for me, as there’s nothing to distract from the splendid design. It’s a big pen -17.5cm posted – and it’s designed to impress, with its three bands and large gold-filled clip. It isn’t the most expensive pen in the range. There were very highly-priced overlay pens, pens with very much larger nibs – this has a No2 – and the ETN range with their Eternal nibs was higher priced. 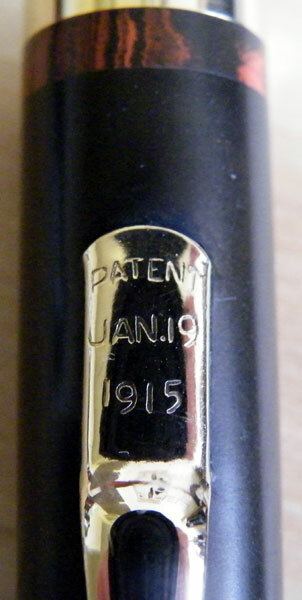 This was the pen that the company pushed hardest, though, and it featured in many advertisements, especially in Britain and France. I think Mabie Todd recognised that they had a winner in this one, with its perfect proportions and harmonious design. Always the writer’s pen, practicality was never sacrificed to aesthetics in Swans, and this pen is no exception. Though the cap may look large and imposing, the pen is perfectly balanced in the hand. This nib is fine, and it has a little flexibility. As always with Swans, it’s a delight to write with. 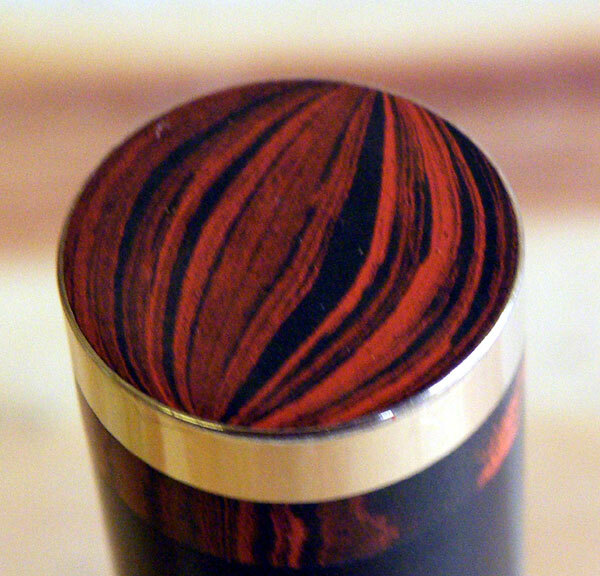 There is a case that can be made for saying that fountain pens reached their peak in the 1920s. The technology of nibs, feeds and filling systems was mature. The ergonomics of a comfortable writing instrument were well understood. Many of the “improvements” that followed were illusory, and from a purely practical point of view we would have lost little or nothing if pen development had frozen here. I’m not saying that would have been a good thing. There are so many delightful pens that we would not have had. 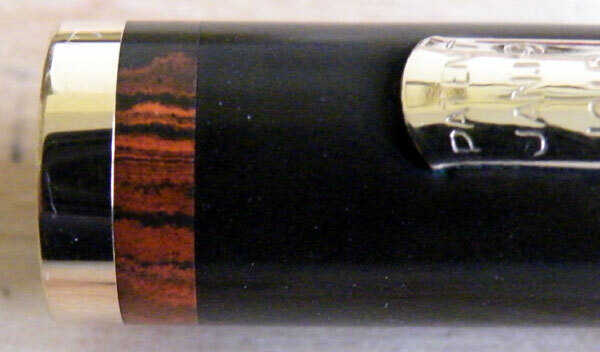 What I am saying, though, is that it would be hard to find an objectively better pen than this. I just found your blog. What is your seller’s ID on eBay? Thanks! I’m redripple52 in UK eBay. I hope you enjoy the blog! I am not real sure how to do this, but I think by clicking below, I can follow your blogs. At least I hope so. We have spoken before on Ebay, and will enjoy the blog I am sure.